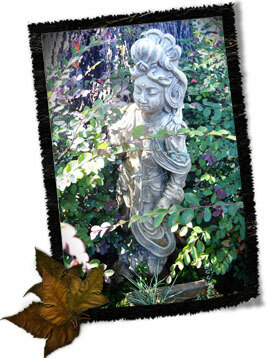 A garden's personality comes from more than its plants and structures. Much depends on the gardener's knack for adding finishing touches - a copper lantern, a brightly glazed pot, a fountain or maybe a statue. From a wicker bench to a lacy hammock, or a well placed boulder these decorative elements can create a focal point, complement a grouping of foliage and flowers, or simply delight the eye. 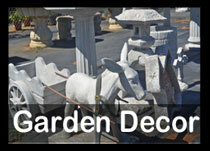 A garden is more than flowers and trees -- blend garden flags, pots, urns and statuary into your landscape for added visual interest! 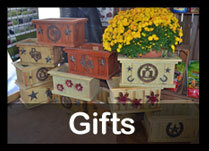 Joe Smith Farms offers fountains, benches, decorative pots, arbors, and a wonderful selection of home and garden gifts.